Jess Uy | Personal Finance & Global Investing: Welcome 2015! Thank you 2014! 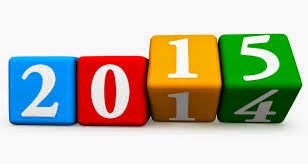 Welcome 2015! Thank you 2014! I am grateful to God for every seminar participant, every reader of my blog, collaborator and organiser - thank you so much for sharing and spreading this vision of journeying toward financial freedom! Thank you to Henry Ong, director of RFP (Registered Financial Planner Philippines) for inviting me to speak on “Understanding Global Investing Opportunities” to financial advisers on January 9, 2014! In collaboration with TGFI Singapore, we were able to reach out to hundreds of OFWs in Singapore, discussing a wide range of personal finance topics. Thank you Richard, Rex and Floi for organising these successful workshops - you guys are doing such an amazing job educating OFWs here in our homebase (Singapore)! Thank you also to Alfonso Gonzales for being a guest speaker at one of the workshops! A big shoutout to the Bembit, Oliver and the Philippine Embassy in Singapore for encouraging kababayans to join our workshops. Thank you ANC “On the Money” Show for inviting me back to talk about “Investing Beyond Philippine Shores” (video link here) on 12 May 2014. It was truly wonderful to re-connect with my friends and hosts of the show Edric Mendoza, Salve Duplito and Melissa Gecolea and discuss stocks, mutual funds, the Philippine market vs international markets. I thoroughly enjoyed the exchanges! Randell Tiongson’s iCon 2014 on May 17, 2014 was an incredible success! Thank you Randell for the privilege of sharing about Global Investing to our kababayans in Manila! It was also a blessing to meet and connect with friends old and new at the conference - an honor to meet Marvin Germo, Edric Mendoza, Jayson Lo, Dennis Sy, Paulo Tibig, Marvin and Rose Fausto, Alvin Ang, Carl Dy, Yeng Remulla. 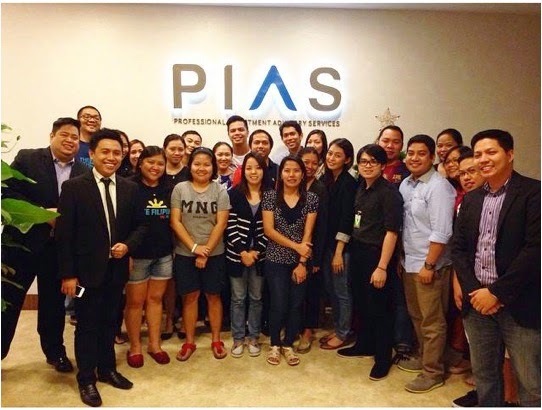 Thank you to Pinoy Insurance Talk, Philippines for hosting the “Journey to Financial Wellness” on June 28, 2014 - reaching out to both insurance advocates and the general public. It was a pleasure working with an enthusiastic group of organisers and volunteers - Mon Lao, Ron Magsalin, Clarissa De Guia Ramos, Luz Tungul Ricafort, Genesis Alvaro, Jeff Prochina, Candice Jihan Uy and connecting with a lot of our seaman friends. As a yearly tradition, Randell Tiongson joined us again for Money Talks Singapore on July 12, 2014. Always a delight to work with my dear friend and brother! Thank you for contributing to this well-received series of talks on Estate Planning, Personal Finance and Global Investing! The opportunity to connect with and speak on Global Investing to our OFWs in Doha, Qatar at the “How to Become Riyal-Wiser and Peso-Wealthier” Seminar in August 2014 was truly amazing. It was also my first time to Doha as well! Thank you to all the enthusiastic participants - I learnt so much from our OFWs there too, and had a chance to connect with many on a more personal level through the CoffeeTable Sessions in Doha, Qatar and Dubai, UAE. Many thanks to the awesome team of organisers/advocates Burn Gutierrez, Allan Miranda, Bernard Anduyon, Rhea Anduyon, Marisol Amihan, Cherry Murillo, Normilla Pascua, Christian Joseph Gutib, JR Rosales Caparas and the whole Middle East team! Thank you to OFW Usapang Piso, Angat Pilipinas and OFIE-M for all the support! Huge turnouts! The OFW Usapang Piso, IMG Japan and Truly Rich Makers team in Japan did a tremendous job organising the “Global Investing and Insurance” workshop in Tokyo, Japan on Oct 11, 2014. I especially appreciated the warm hospitality of the organising team and the genuine hunger from the participants, to not just learn but apply the personal finance strategies right away! My gratitude goes out to Lara Joy Francia Keh, Liezl Casquejo, Chery Lyn Pangilinan, Redd Sumpaico, Esperanza Pabustan, Juliet Acosta, Mark Keh, Burn Gutierrez and the whole team for a fantastic job hosting not just the workshop, but the follow-up Question & Answer sessions! My next “outreach” trip was to Brunei on October 26, 2014 with my good friend Randell Tiongson (once again!)! What struck me the most was the great desire of OFWs there to learn about money management. There was a great turnout for the Money Talks: Personal Finance, Introduction to Investing, Global Investment and Insurance sessions. Thank you TGFI Brunei, participants and especially organizers Biboy, John Parago and Monique Angelique Bulatao for the warm reception and eagerness to learn! November 2014 was a milestone, as we organised the very first Associate Financial Planner (AFP) Workshop with Randell Tiongson and Marvin Germo here in Singapore. It was heartening to see financially literate kababayans eager to learn the basics of financial planning so that they could help more people reach financial freedom! Thank you Randell and Marvin for also collaborating on the “Winning Strategies for Investing Locally (Philippines) & Globally” and the “Estate Planning 101 - Leaving a Lasting Legacy” workshops! It’s always fun working with both of you! Speaking to our enthusiastic OFWs in Hong Kong over a CoffeeTable Session on Nov 28, 2014 was a delight. I enjoyed the intelligent questions asked as well as getting to know more about them and their context. Thank you Malu Velez, Pierre Francisco Velez, Burn Gutierrez and the OFWUP organising team for putting this together! Last but not least, my gratitude goes out to God for all these open hearts and open doors! Looking forward to an even more “adventurous” 2015 - more countries and territories to reach in the name of financial advocacy! p.s. To start the year, my first event will be in Penang, Malaysia. For registration to this FREE event, you may fill up the form here:http://goo.gl/xfHX0V Details below.